Lybrate Sensodyne Free Sample – Hi Guys , Hope You are Enjoying Our Freebies & Free Stuffs Posts. Yesterday We have Published Free ₹140 Google Play Store Credit Trick, By Which You Can Get Free ₹140 In Google Play Store. 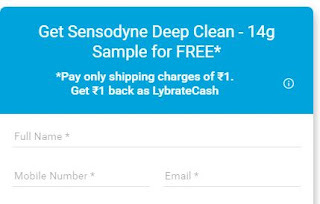 Now Lybrate is Offering Free 14gm Sample Of Sensodyne Deep Clean Gel. This Offer is Available For Some Limited Cities. Follow Below Steps To Claim This. 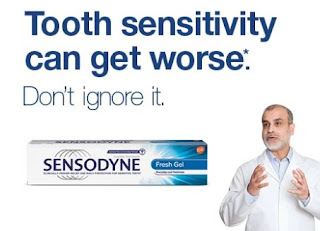 Sensodyne is specially formulated to relieve and protect against tooth sensitivity. 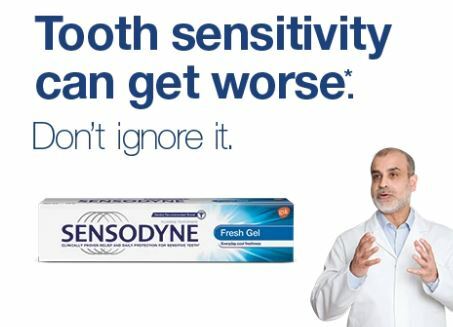 Sensodyne works by creating a barrier over sensitive areas or by soothing the nerves inside your tooth, ultimately offering 24/7 sensitivity protection when you brush with it twice a day, every day.